The nation's supply of affordable rental housing — both subsidized and unsubsidized — is shrinking, even as demand increases. Preserving existing affordable housing has a variety of economic and social benefits and is typically more efficient than building new units. Federal, state, and local governments and nonprofits are employing creative financing and ownership structures to preserve affordable rental housing in both the public and private stock. The United States was home to 9.9 million low-income renters in 2010, according to data from the Joint Center for Housing Studies of Harvard University. At the same time, there was a shortfall of 5.1 million rental units in adequate physical condition and affordable to these households.1 The level of unmet demand varies regionally, with long waiting lists and extremely low vacancy rates in expensive markets such as New York City and San Francisco and high vacancy rates and more affordable housing in weaker markets such as Flint, Michigan and Youngstown, Ohio. Source: U.S. Census Bureau, 2011, "American Community Survey," Table B25032. Accessed 9 May 2013. Source: Joint Center for Housing Studies of Harvard University, 2011, "America's Rental Housing: Meeting Challenges, Building on Opportunities," Table A-5, 46. The individual-level ownership and the small scale of these unsubsidized properties make financing their upkeep difficult, says Shekar Narasimhan, managing director at Beekman Advisors, because of the high cost of doing business with an individual property owner. "The same amount of energy will go into making a $5 million loan as will go into making a $500,000 loan. But banks charge for these services on a percentage basis. If I charge 1.0 percent, I make $5,000 on the smaller loan and $50,000 on the larger loan. If my cost of making the loan is $10,000 per loan, I lose money on the smaller loan and make money on the larger loan. It's the law of numbers. "19 Banks may also balk at lending to these smaller owners because of the fixed costs incurred if a development goes into foreclosure, such as fees for lawyers, court filings, and appraisals. Such fixed costs apply to foreclosures of any size, and they "eat into the value of the property significantly, which means the recovery rates after foreclosure on smaller properties are much lower. Therefore, the lender loses more money when a default takes place," says Narasimhan. As a result, small-scale owners often must put up significant collateral — perhaps even their own home — to access credit, which may inhibit them from seeking a loan to rehabilitate or renovate their property. Unlike most privately owned unsubsidized stock, government subsidized rentals were built specifically to provide affordable rental housing. Under past and present programs including Section 236, Section 8, and the Low-Income Housing Tax Credit program (LIHTC), owners agree to maintain affordable rents for a set period, usually 15 to 30 years, in exchange for federal subsidies. When those agreements expire, owners can either reenroll in the affordability programs or convert their properties to market-rate units. In some cases, private owners can leave subsidized programs before rent restrictions expire by prepaying their mortgages after a set number of years. 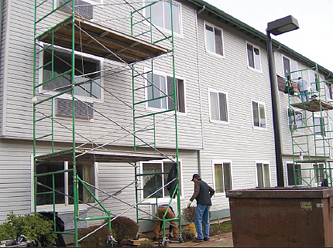 Air conditioning installation at Whispering Pines Senior Village in the logging town of Estacada, Oregon, is part of the renovation and green retrofitting of 62 affordable units. A number of factors contribute to the high costs of new construction. According to the Federal Reserve Board, residential land costs have grown about 250 percent more quickly than inflation since 1975, although land costs do vary regionally and did fall during the recent recession.37 In addition, as a 2004 paper from Harvard University's Taubman Center for State and Local Government found, the cost of the "right to build" — securing regulatory approval for new construction in certain expensive markets — has also increased over the past several decades and constitutes yet another costly, although variable, factor in new construction.38 Finally, says Allison Clark, program officer in the MacArthur Foundation's Program-Related Investments program, in any new tax-credit project, "there is so much soft-cost that goes into it," such as closing fees, that preservation does not incur. The Moses Dewitt Redevelopment project in Syracuse, New York will rehabilitate and preserve 37 apartments for very low-income seniors.The federal government has created a number of programs that address preservation of subsidized and privately owned stock.44 In 1997, Congress launched the Mark-to-Market (M2M) program, partly in anticipation of the large numbers of Section 8 properties whose affordability requirements were set to expire in the late 1990s and partly in response to the subsidized developments' rents, which, due to automatic yearly increases, often exceeded the neighborhood's market rate.45 The legislation empowered HUD to "mark down to market rents" those projects that had mortgages guaranteed by FHA and that were renewing their Section 8 contracts.46 To give owners an incentive to renew, the program also restructured mortgages, making partial or full payment of the FHA-insured first mortgage and replacing it with a smaller, often FHA-insured, mortgage. In the case of a full restructuring, the difference between the original and reduced mortgages could remain as a second mortgage, payable only if funds were available or the property was sold. At the time of the restructuring, owners would agree to a new 30-year affordability agreement.47 Researchers estimate that the program will save $831 million over 20 years, or about $28 per unit each month.48 In this way, M2M succeeded in preserving Section 8 properties' long-term affordability while also saving the federal government money. HUD's Rental Assistance Demonstration (RAD), a new, budget-neutral pilot program addressing subsidized housing at risk of leaving the affordable rental stock through unmet capital needs and expiring Section 8 contracts, enables owners and public housing agencies to shift housing developments to the Section 8 platform.55 Doing so gives these owners access to private and public debt and equity, including LIHTCs, HOME and Community Development Block Grant funds, and private-market investment, enabling rehabilitation or even replacement of decrepit units.56 In this way, says Patrick Costigan, senior adviser to HUD Secretary Shaun Donovan, RAD meets public housing's "enormous capital backlog" without adding financial obligations to the federal government.57 The legislation authorizing the RAD program also ensures that tenants will retain the rights and protections they are afforded under the Housing Act of 1937. RAD is administered through the Office of Multifamily Housing Program's Office of Affordable Housing Preservation (OAHP) and consists of two components. In the first, competitive component, private owners and public housing agencies put together funding sources, then apply to convert public housing and Moderate Rehabilitation homes to a long-term, property-based Section 8 contract, extending affordability for at least 15 years. At the time of this writing, awards have been made to 78 public housing agencies proposing to convert more than 14,000 units, and 2 Mod Rehab owners. During the initial application period, says Costigan, selected proposals ranged from complete replacement (22%) to rehabilitation costing $50,000 and more per unit (24%). Other proposals involve modernizing the housing (22% of all rehabilitation projects) or adding funds to the property's reserves, which enables owners to budget for future maintenance. Putting money into reserves is noteworthy, explains Costigan, because "[y]ou can't do that in public housing. You basically get an allocation and do the best you can. By going onto a Section 8 platform, you can budget for replacement." In addition, these proposals are evidence that public housing agencies are employing funding mechanisms used by other developers of affordable housing, such as 4- and 9-percent LIHTCs.58 "A whole range of secondary or gap financing is now available to [public housing agencies]," Costigan observes. "With this tool, public housing agencies are more able to be the community-based affordable housing developers, owners, and managers that they really are." RAD's second component, initiated in March 2012, allows affordable properties developed through certain programs that the government has not renewed to transfer to long-term Section 8 contracts through the project-based voucher program, which subsidizes rentals on specific units. This conversion will preserve the affordability of the units for at least another 15 years. Although no estimate of this stock's capital needs is available, these properties do have a backlog of needed repairs.60 As with Section 8 housing, residents of these properties pay no more than 30 percent of their income for rent. Thus far, HUD has prioritized proposals whose affordability provisions are expiring in fiscal year 2013; additional letters of interest, representing developments expiring in later years, are in the queue.61 To date, nearly 50 private owners have received approval to convert approximately 5,000 units through this RAD component. 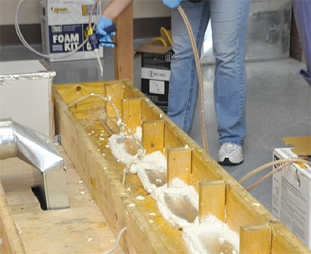 The New York State Weatherization Assistance program assists income-eligible households in reducing heating and cooling costs with energy-efficiency measures such as air sealing, insulation, and improvement or replacement of heating systems, lighting, and appliances. In addition to RAD, HUD's Office of Multifamily Housing Programs has initiated preservation programs targeting other HUD legacy properties. Specifically, OAHP is spearheading affordability preservation programs targeting Section 236 and Section 202 properties. Both programs directly subsidized the development of thousands of units of affordable rental housing from the 1950s through the 1970s. These mortgages are approaching or have reached their maturity dates. In addition, many owners are seriously considering refinancing their HUD mortgages, which would terminate any current affordability restrictions. Not only are current low interest rates a strong incentive to refinance, but most 236 and 202 property owners also have deferred maintenance costs in serious need of capital. HUD is proactively addressing this trend by creating financial incentives for owners to preserve their properties' affordability. Owners and purchasers of Section 236 properties with impending mortgage maturity dates often need HUD assistance not only to preserve affordability for tenants but also maintain the long-term physical and financial viability of their properties. Preservation transactions typically involve prepaying an existing Section 236 loan, first mortgage refinancing (either with or without FHA mortgage insurance), and securing new, additional sources of capital financing such as LIHTC equity. These Section 236 prepayment requests often require various additional approvals from HUD, including the decoupling of the 236 Interest Rate Payment from the 236 prepayment, deferral of Flexible Subsidy loan repayments, and unit conversions. Effective July 1, 2013, HUD's Office of Multifamily Housing Programs initiated a centralized processing model for most Section 236 preservation activities through OAHP. This initiative is designed to streamline and expedite HUD approvals of these preservation transactions. The Section 202 Supportive Housing for the Elderly Act of 2010 authorizes HUD to provide Senior Preservation Rental Assistance Contracts (SPRACs) with 20-year terms to eligible Section 202 property owners. The SPRAC program prevents the displacement of existing income-eligible tenants of eligible Section 202 properties that can result when property owners seek to prepay the existing mortgage and refinance the property to generate capital for property maintenance. HUD's portfolio of Section 202 Direct Loan properties includes approximately 18,200 unassisted units; over the next decade, an average of 2,000 unassisted units per year are at risk of expiring affordability due to maturing Section 202 loans. In fiscal year 2012, $16 million was made available for SPRAC funding, which HUD anticipates could assist up to 2,000 currently unassisted income-eligible tenants. SPRAC funds will be awarded to support currently unassisted tenants who may be either low-income (80% of the applicable AMI) or very low-income families (50% of AMI), as determined by HUD. In addition to protecting existing tenants from displacement, SPRAC assistance supports the long-term preservation and affordability of these pre-1974 Section 202 Direct Loan projects. The prepayment of the Section 202 mortgage, in conjunction with the rehabilitation of the project and the provision of a SPRAC, will facilitate the improvement of the project and its long-term preservation as affordable housing for both current and future tenants. HUD's SPRAC award criteria prioritize applications for properties that commit to serving very low-income tenants and completing substantial rehabilitation. Finally, municipalities use regulatory tools to make it easier, or more financially attractive, for owners to upgrade their affordable rental properties.72 Tax abatements, for example, which freeze taxes at a certain level, are one tool commonly used in New York City to induce owners to rehabilitate these properties. Streamlining the financing process is another way that localities create incentives for owners to rehabilitate their properties and maintain their affordability. In addition to these regulatory and tax-related strategies, preservation databases, including one built by the Furman Center for Real Estate and Urban Policy at New York University, track and provide information about at-risk properties. The Furman Center's database collates information from multiple sources on subsidized rental properties in New York City that are privately owned. The database contains details on 40 property-level variables, including subsidy, ownership, and physical and financial information that help identify opportunities to preserve affordability (see "How Research Tools Are Assisting Communities To Preserve, Plan Affordable Housing").73 Likewise, the National Housing Trust maintains a list of all project-based Section 8 housing whose contracts will expire in the next five years.74 These data are crucial, says MacArthur's Allison Clark, "It's a much harder job to get your hands around what you already have than you would expect." For instance, Clark explains that some subsidized deals date from before widespread use of computer systems, which can make them difficult to track. Cities, states, and HUD track properties differently, so projects can fall through the cracks or be double-counted. Finally, she says, tracking market-rate, privately owned developments that provide critically needed affordable housing "is a big challenge." These developments might not be tracked without these initiatives, so the critical housing needs that they meet — and the threats posed to them, such as conversion to condominiums — may be invisible. Increasingly, the need to meet the demand for affordable rental housing is being addressed through collaboration among different levels and branches of government and among private, public, and philanthropic groups. These groups are motivated to preserve affordable housing because of its impact at the individual household, neighborhood, and community level. For low-income households, preservation safeguards affordability during a time of rising housing costs and shrinking incomes. It further helps revitalize and stabilize neighborhoods that can offer access to opportunity. More economical than new construction, for which there is inadequate funding, preservation also reuses buildings, takes advantage of existing public infrastructure, conserves green space, and reduces utility costs and greenhouse gas emissions. Interagency work groups that include nonprofit and public entities coordinate efforts, such as Illinois' Cook County Preservation Compact, and share data about homes most at risk of converting to market-rate rents or falling out of use due to disrepair. Together, these diverse stakeholders are leveraging the knowledge, resources, and data needed to protect residents living in affordable rentals today and to meet future demand for such housing. Joint Center for Housing Studies of Harvard University. 2012. 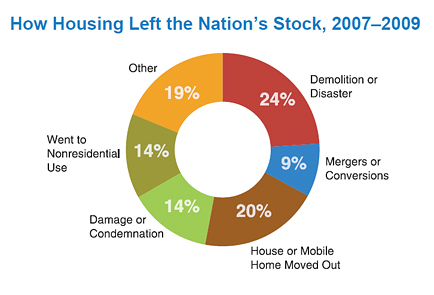 “The State of the Nation’s Housing 2012,” 25, 37. _____. 2011. “America’s Rental Housing: Meeting Challenges, Building on Opportunities,” 6. The John D. and Catherine T. MacArthur Foundation. 2007. “Window of Opportunity: Preserving America’s Rental Housing,” 2–3. Interview with Lydia Tom, March 2013. Interview with Michael Bodaken, March 2013. Louise Keely, Bart van Ark, Gad Levanon, and Jeremy Burbank. 2012. “The shifting nature of U.S. housing demand,” The Demand Institute, 20. Karen M Gibler. 2003. “Aging subsidized housing residents: a growing problem in U.S. cities,” The Journal of Real Estate Research 25:4, 396. Joint Center for Housing Studies of Harvard University 2011, 6, 18. Joint Center for Housing Studies of Harvard University 2012, 25. U.S. Department of Housing and Urban Development, Office of Policy Development and Research. 2013. “Worst Case Housing Needs: Report to Congress,” 1. Michael Greenstone and Adam Looney. 2011. “Trends: Reduced Earnings for Men in America,” The Hamilton Project, 13. Joint Center for Housing Studies of Harvard University 2011, 43. 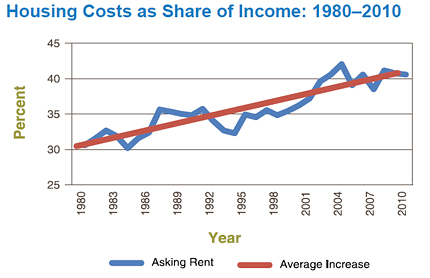 U.S. Department of Housing and Urban Development 2013, 2; For more on renters’ incomes and rents, see also Rob Collinson. 2011. “Rental Housing Affordability Dynamics, 1990–2009,” Cityscape 13:2, 71–103. Fannie Mae. 2012. “Rental Resurgence Marked by Single-Family Expansion and Diverging Affordability Trends for Owners and Renters,” Fannie Mae Housing Insights 2:5, 2; Jim Logue. 2011. “Homeownership versus rental housing,” Journal of Affordable Housing & Community Development Law 20:2, 240–1. Joint Center for Housing Studies of Harvard University 2011, 22. Howard Savage. 1998. “What we have learned about properties, owners, and tenants from the 1995 Property Owners and Managers Survey,” U.S. Census Bureau, 3. Interview with Shekar Narasimhan, March 2013. David J. Reiss. 2010. 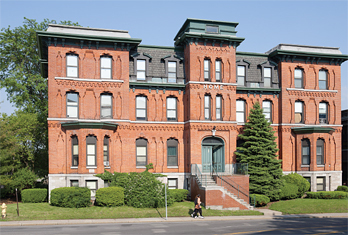 “Landlords of last resort: Should the government subsidize the mortgages of privately-owned, small multifamily buildings?” Western New England Law Review, 31; Philip M.E. Garboden and Sandra Newman. 2012. “Is preserving small, low-end rental housing feasible?” Housing Policy Debate 22:4, 507–26; Interview with Shekar Narasimhan. Kate Johnson and Eric Mackres. 2013. “Scaling up multifamily energy efficiency programs: a metropolitan area assessment,” American Council for an Energy-Efficient Economy; Garboden and Newman, 508. Joint Center for Housing Studies of Harvard University. 2008. “Rental Production and Supply,” 11. Stephanie Pollack, Barry Bluestone, and Chase Billingham. 2010. “Maintaining diversity in America’s transit-rich neighborhoods: tools for equitable neighborhood change,” Dukakis Center for Urban and Regional Policy, 24–5. Meryl Finkel, Charles Hanson, Richard Hilton, Ken Lam, and Melissa Vandawalker. 2006. “Multifamily Properties: Opting In, Opting Out and Remaining Affordable,” Econometria, Inc. and Abt Associates, 1. Richard Hilton, Charles Hanson, Joanne Anderson, Meryl Finkel, Ken Lam, Jill Khadduri, and Michelle Wood. 2004. “Evaluation of the Mark-to-Market Program,” Econometria, Inc. and Abt Associates, 2. Finkel, Hanson, Hilton, Lam, and Vandawalker, 14, 24. Government Accountability Office. 2007. “Project-Based Rental Assistance: HUD Should Update Its Policies and Procedures to Keep Pace with the Changing Housing Market,” 3. Meryl Finkel, Donna DeMarco, Hin-Kin (Ken) Lam, and Karen Rich. 2000. “Capital Needs of the Public Housing Stock in 1998,” 2; Meryl Finkel, Ken Lam, and Christopher Blaine, et. al. 2010. “Capital Needs in the Public Housing Program,” vii, iv-v, 41–9, 59–60. Edwin Melendez, Alex F. Schwartz, and Alexandra de Montrichard. 2008. “Year 15 and Preservation of Tax-Credit Housing for Low-Income Households: An Assessment of Risk,” Housing Studies 23:1, 67–87. Jill Khadduri, Carissa Climaco, Kimberly Burnett, Laurie Gould, and Louise Elving. 2012. “What Happens to Low-Income Housing Tax Credit Properties After Year 15 and Beyond?,” 66. Melendez, Schwartz, and Montrichard, 72; Khadduri, Climaco, Burnett, Gould, and Elving. MacArthur Foundation. 2007. “Window of Opportunity: Preserving Affordable Rental Housing”; MacArthur Foundation. 2009. “Window of Opportunity: Investment Summary,” 1. Maya Brennan, Amy Deora, Anker Heegaard, Albert Lee, Jeffrey Lubell, and Charlie Wilkins. 2013. “Comparing the Costs of New Construction and Acquisition-Rehab In Affordable Multifamily Rental Housing: Applying a New Methodology for Estimating Lifecycle Costs,” Center for Housing Policy, 11. Joseph B. Nichols, Stephen D. Oliner, and Michael R. Mulhall. 2010. “Commercial and Residential Land Prices Across the United States,” Finance and Economics Discussion Series, Divisions of Research & Statistics and Monetary Affairs. Federal Reserve Board, Washington, DC, 21. Edward L. Glaeser, Joseph Gyourko, and Raven E. Saks. 2004. “Why Have Housing Prices Gone Up?,” A. Alfred Taubman Center for State and Local Government, Harvard University, John F. Kennedy School of Government. Sheila Crowley and Danilo Pelletiere. 2012. “Affordable Housing Dilemma: The Preservation vs. Mobility Debate,” National Low Income Housing Coalition, 23; Interview with Michael Bodaken. Alex Schwartz. 2010. “New York City and Subsidized Housing: Impacts and Lessons of the City’s $5 Billion Capital Budget Housing Plan,” Housing Policy Debate 10:4, 839–77. New York State Association for Affordable Housing. 2012. “Economic Impacts of Affordable Housing on New York State’s Economy,” 33–4. Ingrid Gould Ellen and Ioan Voicu. 2006. “Nonprofit Housing and Neighborhood Spillovers,” Journal of Policy Analysis and Management 25:1. State of Nevada Disaster Recovery Grant Reporting System. 2012. “October 1 Thru December 31, 2012 Performance Report”; Florida Housing Coalition. n.d. Neighborhood Stabilization Program; Chicago Rehab Network. 2009. NSP2 Consortium Program Summary; Bill Healy. 2011. Chicago NSP helps fill demand for affordable rental housing. Richard Hilton, Charles Hanson, Joanne Anderson, Meryl Finkel, Ken Lam, Jill Khadduri, and Michelle Wood. 2004. “Evaluation of Mark-to-Market Program,” vi. National Low Income Housing Coalition, HUD Notice Helps Nonprofits Preserve Affordable Housing. U.S. Department of Housing and Urban Development. 2012. “Affordable Green: Renewing the Federal Commitment to Energy-Efficient, Healthy Housing,” Progress Report and Energy Action Plan: Report to Congress, Section 154, Energy Policy Act of 2005, 5. Energy Programs Consortium. 2009. “Bringing Residential Energy Efficiency to Scale: National Residential Energy Efficiency Program,” 4. U.S. Department of Housing and Urban Development. 2009. Notice H 09-02: Green Retrofit Program for Multifamily Housing (GRP). U.S. Department of Housing and Urban Development 2012, 16; Office of Affordable Housing Preservation Resource Desk. “Frequently Asked Questions.” Accessed May 2013. U.S. Department of Housing and Urban Development 2012, 15. Interview with Allison Clark, May 2013. Sandra Henriquez and Carol Galante. 2013. “National Launch of Groundbreaking Rental Assistance Demonstration to Preserve and Strengthen Public, Other HUD-Assisted Housing,” The HUDdle (blog), 17 January. Scott Hoekman and John Griffith. 2013. “HUD’s Rental Assistance Demonstration: A bold plan for preserving affordability in an era of austerity.” Enterprise Community Partners. Rental Assistance Demonstration Forum, HUD channel. Interview with Patrick Costigan, May 2013. Department of Housing and Urban Development. “Rental Assistance Demonstration: Application and Conversion Request Award Summary.” Accessed May 2013. U.S. Department of Housing and Urban Development, “Rental Assistance Demonstration.” Accessed 23 June 2013. U.S. Department of Housing and Urban Development. 2013. “Notice PIH-2012-32 (HA), REV-1.” Accessed 5 August 2013. Michael Bodaken. 2011. “Low Income Housing Tax Credit: Preservation Trending,” presentation to National Council of State Housing Agencies annual Housing Conference and Marketplace. Stephanie Pollack, Barry Bluestone, and Chase Billingham. 2010. “Maintaining Diversity in America’s Transit-Rich Neighborhoods: Tools for Equitable Neighborhood Change,” Dukakis Center for Urban and Regional Policy, 42. Jeffrey Lubell. 2006. “Increasing the Availability of Affordable Homes. A Handbook of High-Impact State and Local Solutions,” Center for Housing Policy, 8. New York City Acquisition Fund. 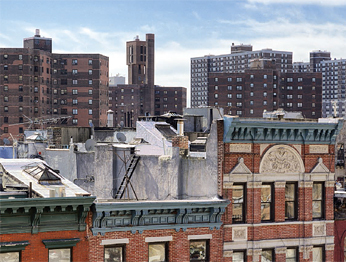 n.d. “Overview.” Accessed 21 June 2013; New York City Department of Preservation & Development. 2005. “Mayor Bloomberg Announces Historic Collaboration With National Charities And Financial Institutions For The Building And Preservation Of Affordable Housing,” 14 October press release. MacArthur Foundation. 2013. “Housing Partnership Equity Trust Launches With $100 Million In Funding for Affordable Multifamily Housing,” 29 April press release. New York State Homes and Community Renewal. “Fact Sheet #41: Tax Abatements.” Last updated 2011. Jaclene Begley, Caitlyn Brazill, Vincent Reina, and Max Weselcouch. 2011. “State of New York City’s Subsidized Housing,” Furman Center and The Institute for Affordable Housing Policy. See National Housing Trust, “Project-Based Section 8 State Reports.” Accessed 1 June 2013.